Anyway, if you would like to check out my photography site you may find other bands you like that I am interested in. 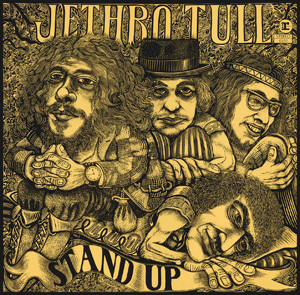 Hi, Paul, welcome to The Jethro Tull Board, where we have quite a few "Tull Pauls", including our founder, TM. For some reason there seem to be a lot of Tull fans named Paul, but there are also a lot of Tull Rays, Tull Mikes and Tull Jeffs. Anyway, I had a chance to look at your website, and I loved the Tull photos you've got there, particularly the Stormwatch ones, but the Rock Island photos and Catfish Rising photos were great too. And I really enjoyed your original tribute song to Tull entitled 'Stormbrew', however when I went to listen to it again a message appeared saying that it's either been removed from FB or is not visible due to privacy settings. What gives? I hope you can restore it. In any event, it's great having you here as a new member on the board, and I look forward to future Tull talk with you! Wow your website is great! You photographed so many great bands at what must have been amazing shows. Thank you for sharing all of these with us.